Natalie from Mommy of a Monster threw out a set of questions (and her answers) to the universe last week, and I thought it'd be a fun post to do the Monday after my girl turned four, since I just know the party on Saturday will consume a lot of the weekend. 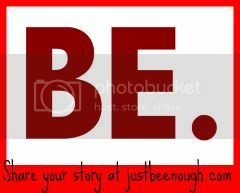 While this is not a typical Just.Be.Enough. post, it is a snapshot of my life right now. I'm trying to accept that some days I might need a little help and some weeks I might not be able to squeeze in the eighty-four items on my to-do list each day. So hopefully, today, this is enough. White, a little on the sweet side. Bubbly doesn't hurt either. 2: What is your favorite wine or libation? Prosecco’s my favorite wine, and flavored vodka’s my favorite libation of the moment. 3: Have you been to any wineries or wine tasting? We went to Sonoma for a day while visiting friends in San Jose many moons ago. My favorite was a delicious Moscato, and since my kids stole my brain I can’t remember any more than that. 4: Favorite pair of shoes? 5: What is your morning drink? Copious amounts of coffee. I’ve ditched fake sugar and am slowly (very slowly) transitioning away from the deliciousness of flavored creamers. 6: Tattoos, body piercings, or both…and where? I used to have a belly ring, but I took it out a while ago. A long while, when I really think about it. I have a tattoo on my lower back/upper hip. 8: What is your dream vacation…money is no object! I have two, so let’s combine them into one hodge-podge of fabulousness. I’d do a mini-tour around Europe—Paris, Barcelona, London, Tuscany. Ryan and I did a month-long multi-country European trip back in college after he studied in Germany for the summer--with giant backpacks. I’d love to do it with the luxury of a human amount of clothing and a blow dryer this time, with the appropriate power converter of course. After all of that walking and wine drinking and art gawking, we’d have to relax in the ultimate beauty of French Polynesia, floating in that gorgeous water off our over-water bungalow. (please see question #8!) After that, I just want a bigger house in a better neighborhood, and I’d send our kids to the best schools I could find. 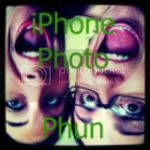 10: Do you talk to yourself? If so, do you answer yourself too? Not out loud, but I absolutely do it in my head. 11: Would you ever sneak a giant metal rooster into your house? Why not? This place is a zoo already. What gives you that “be enough” feeling? He propped himself up on one elbow, warm sand pressing dampness against the blanket though the forecasted storm was circling in the clouds hanging low above the water, the thunder miles away. He jerked awkwardly, trying to button his jeans with one hand and losing his balance. For a moment something like love shot through her indifference. “I’m glad we came here tonight,” he spoke too soon, his familiar voice slicing through her affection and reminding her that high school was over. Without artifice, she slid her arms into bra straps and reached around to fasten the airy lace, absently shrugging on her tank top and abandoning the matching scrap of a thong to the darkness beyond the blanket. He reached out to touch her thigh, his thumb brushing sand from her skin, the pale glow a reminder that she rarely came to the beach before dusk. With unwarranted cruelty, she met his eyes with a level glance and smoothed her skirt back to her knees, pushing his hand aside and looking to the sky as the moonlight darkened. His hand hung in the air for a moment, snagged in the humidity between hope and hurt feelings, his eyes following hers to where clouds now blocked the moon. Lost in the twenty-seven day countdown between tonight and forever, she didn’t notice the nearness of the thunder until the first drops fell into the space between them, the summer rain dripping warm tears onto her skin. He moved quickly and surely, grabbing his shirt to hold over her head, though it didn’t make a difference, lightning flashing as rain poured in rivulets around the island of their blanket. Still, he held the shirt above her, the soaked cotton falling heavily against her hair. She knew he wanted her to stay. She knew he thought he loved her. Without speaking, she finally met his eyes again, seeing the confusion there, the promises they’d made to each other since freshman year pleading with her. It wasn’t love, but he would have to realize that on his own. Finally he tossed the shirt aside, defeated, his eyes far away. The almost-love washed over her and she embraced the tenderness, letting it speak for her as she touched his face, her palm tilting into the memorized planes of his jaw. She felt his promises and hope in the urgency of his lips, and she closed her eyes, wondering if he could taste the goodbye in hers. Lists passed back and forth between us, name books scoured, possibilities scrawled onto paper to be tentatively approved or slashed out of existence by the other. Ryan and I had a difficult time choosing names, particularly with Dylan, making lists for both boys and girls and hoping we'd make an appropriate game-time decision when he was born. In The Weird Sisters, Eleanor* Brown tells the story of three sisters, daughters of a Shakespeare scholar named for three of Shakespeare's female characters (Rosalind, Bianca, and Cordelia), returning home to help their mother through a bout with cancer. So many things about this book pulled me in from the beginning and sent me spiraling through its pages within two days, pulled into their lives both as women and as children of an academic in a small college town (which may or may not be one of my dream life scenarios). I pondered the way Brown portrayed the sister relationship, without the typical, tightly woven threads that wind through so many stories about sisters. I immediately related to their penchant for books of any kind, picked up from various surfaces and read at whim. I simultaneously loved and wanted to scream at each of the sisters in turn. Character development is one of my favorite parts of a book, and Rosalind, Bean, and Cordy were endowed with some of the most beautifully realistic flaws and strengths I've read in a long time. Another strength of the novel was the narrative voice. Eleanor Brown expertly tells the story from the first person collective consciousness of the three sisters, using "we" and letting the reader truly delve into each of their stories, providing a balanced and rich perspective on the family. At the heart of the book is a triangular coming-of-age tale, with each of the sisters finding her way through the mire of the expectations of her Shakespearean name, the expectations of her family, and the limitations bestowed upon herself. It's beautifully told without feeling contrived or forced, and my only problem with The Weird Sisters is I'm not sure to whom I should lend it first. 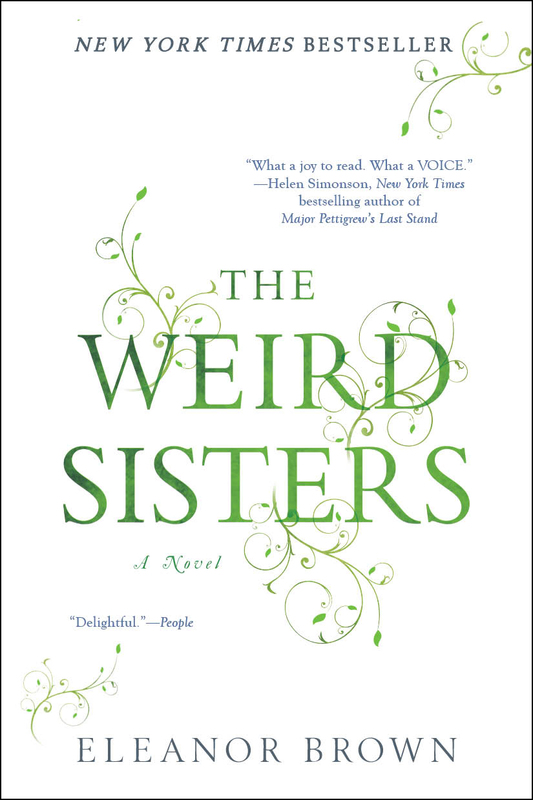 Read more about The Weird Sisters at the BlogHer Book Club. This week we're discussing which of the sisters we're most like. 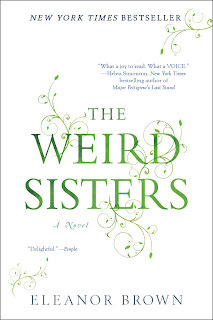 I received a copy of The Weird Sisters for the purpose of this review, as well as compensation for my time, courtesy of BlogHer and Penguin Books. The opinions expressed are thoroughly my own, including the one where I mention that whomever borrows this book needs to return it, because it will be one I pick up and read at random intervals. Last year I hyperventilated over choosing a preschool for Abbey. I fretted and made comparison charts and found a school I believed to be a just-about-perfect fit for our girl and for our family. Until our school district (and likely our entire state) decided to move to mandatory all-day kindergarten, and conversation at preschool pick up shifted to kindergarten readiness and questions about whether or not Dylan would be attending the Tots program designed for under three year olds, which he'll obviously be in the fall. Happily ever after shifted back into worrying mode as opinions flew back and forth about developmental milestones and socialization and sending my cute, little, just-got-his-first-haircut baby to school, albiet for four hours a week. My mind skipped back and forth daily, my mental checklist of pros and cons balanced and even and utterly useless. Ryan and I agreed and then didn't and basically couldn't decide, especially in conjunction with making a decision about whether to send Abbey for three or five days. This morning I turned in our registration paperwork for next year, our decisions about both children sealed in a white envelope and handed over to the director of the preschool program while scooping Dylan away from the play kitchen in the classroom. Advice echoed in my head all day, and I heard myself defend our decision to two different people. With the kids in bed and Ryan studying, I left the house in the darkness to retreat to the gym for a treadmill run. For one of the first times this winter, the air felt crisp and chilled, the full moon cutting silver streaks between the bare branches of the trees. Thoughts of the white envelope flashed in my head, wind biting into my skin as I eased closed the car door, Dylan's window perilously close to the driveway. Moonlight shone through the cold windshield, bright and unforgiving, the cold leather against my legs inviting me to feel the pangs of regret over the choice we had finally made Monday night. But instead of regret, I felt at peace with our decision. He will be staying home one more year. It's the right decision for our boy and for our family. Because the zoo is more fun at 9:00 a.m. when the only ones acting like bears are the bears. Because he is my baby, and I love our slow, coffee infused mornings and the way his eyes light up when I announce it's time to pick up Abbey. Because he is only two and has years of school in his future. Because sending him would have meant that every morning one of them would have been at school but never at the same time. linking up with Shell, of course! My closet is woefully small. The only things keeping the tears at bay are that Ryan has his own (matching, woefully small) closet on the other side of our room, and my wardrobe is, unfortunately, fairly small itself. Abbey doesn't see the deficiencies in my closet and insists on playing shoe store and clothes store during naptime lately, in addition to her old favorites, makeup store and jewelry store. Her ability to strip hangers and sweep shelves clean in record time make my mini-closet even more hazardous, especially when I'm in the midst of wardrobe evaluation. I guess it's time to toss the maternity clothes, but I can't seem to part with my wedding shoes. Despite a mish-mash of clothing lacking in key pieces (how do I not yet own a cute blazer? ), I'm cobbling together my packing list for Blissdom, and I'm once again aware of my need to learn to pack. I haven't even added the things I'll need for the rest of our week-long jaunt to Nashville, and my list is reading like a Christmas song. My nerves are gathering together in the packing section of my brain, compensating for my other worries about the trip by trying to guarantee I have choices about what to wear. I know it's not about the clothes, but I feel more comfortable when I feel pretty. Hopefully by next week I'll have a better grasp on what I actually need and what I'm bringing as a security blanket. And I'll try to leave those things at home. After all, I need room in my suitcase for the fabulousness of the Handmade Marketplace. My kitchen's dry erase board houses a perpetual list of craft supplies. Wooden pictures frames, special glues, hanging wire, certain colors of spray paint all linger on the list, waiting to be purchased to craft away an afternoon. Sometimes, though, a play date arises (or a Friday morning), and my eyes flit around the house for an easy craft that uses supplies I have readily available. Repurposing old crayons seemed like a great way to stretch my craft dollars. Recently, I began eye-balling the crayon bag-a large plastic bag housing the millions of crayons ousted from their proper homes, boxes bent or torn beyond proper use. Lurking within the crayon bag are the misfits of coloring time, the remnants of crayons past their prime, broken, labels peeled, and frowned upon by my occasionally particular daughter. You can recycle these crayons and make them the star of the show with a little help from waxed paper and an iron. Abbey and her friend loved this craft. 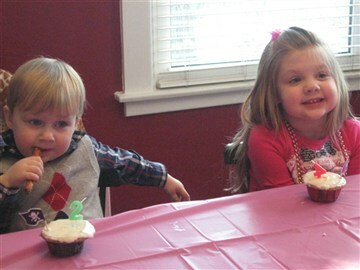 Dylan and the friend's little sister kept trying to eat the crayon pieces. Bowls of pretzels were provided as substitutes for waxy snacks, and they were a great distraction during the ironing part of the project. I might experiment with using cookie cutters next time, pressing into the cooling wax to make different shapes. Using similar, or lighter, colors seems to work best. We'll definitely be doing this again, because crayon scraps are always popping up around our house!